Despite increased student enrollment, K-12 Education in Saskatchewan has been underfunded for years. Last year’s Saskatchewan Party budget doubled down with a dramatic $54.2 million in cuts to Saskatchewan schools and classroom supports. Annual funding was slashed by $500.00 for every student. 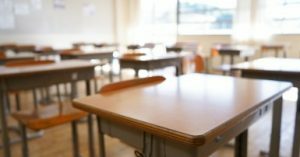 At the same time, the government raised $67 million in education property taxes that was funneled into general revenue instead of into education. 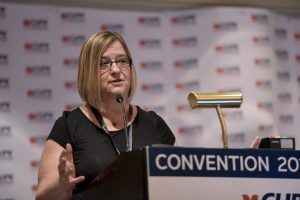 “After last year’s budget, programs for intensive needs pre-school children were eliminated, teachers and support staff positions were cut, student transportation was reduced, and the days and hours of work of many support staff, who already had low wages, were slashed,” says Jackie Christianson, Chair of the CUPE Saskatchewan Education Workers’ Steering Committee, which represents over 7,000 education support workers across the province. There have been cuts and/or reduced hours for front-line staff across school divisions including Chinook, Good Spirit, Horizon, Prairie South, Prairie Spirit, Prairie Valley, Regina Public, Saskatchewan Rivers, Saskatoon Public, St Paul’s RCSSD, and Sun West. 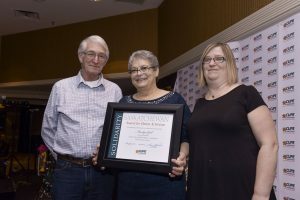 Since first becoming a CUPE member in 1981 when she began working in health care at the Meadow Lake hospital, Marilyn Goll has been active on her local union’s executive and dedicated to helping fellow members. Members of CUPE Local 4689 and the employer, South East Cornerstone Public School Division, have ratified a new two-year collective agreement. 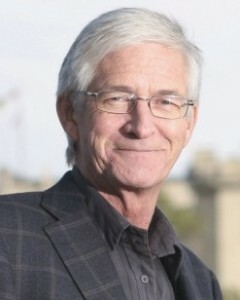 Negotiations took place in the context of the provincial government’s mandated 3.5% wage rollback and employer proposals of zero-percent wage increases. 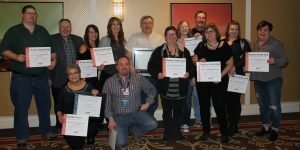 The Executive Board and Members of former CUPE Local 5111, representing health care workers in the Prairie North Health Region located in the northwest part of central Saskatchewan, were awarded the Woodrow Stanley Lloyd Award for Collective Action on March 8, 2018 during CUPE Saskatchewan’s Convention 2018. 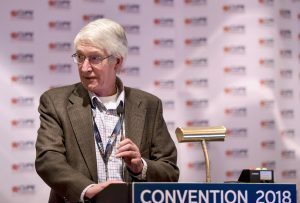 Tom Graham was re-elected as President of CUPE Saskatchewan at Convention 2018 held on March 7 to 9, 2018 in Saskatoon. Judy Henley was re-elected as Secretary-Treasurer of CUPE Saskatchewan at Convention 2018 held on March 7 to 9, 2018 in Saskatoon. Henley has served in the position of Secretary-Treasurer of CUPE Saskatchewan Division since 2001. 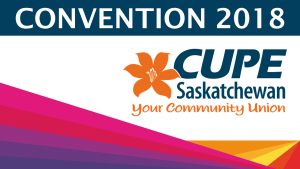 Delegates representing CUPE local unions from across the province will gather in Saskatoon at the Radisson Hotel (405 20th Street East) on March 7 – 9, 2018 for the Annual Convention of CUPE Saskatchewan. During convention, delegates will set the direction for the year ahead, elect members to leadership positions, hear reports about the important work being done by our union, and engage in discussions about issues facing CUPE members and the public services we provide. CUPE is Saskatchewan’s largest public sector union representing over 30,000 members across the province working in a variety of public service occupations including: Healthcare, K-12 education, universities, civic services in cities and towns, community based organizations and child care centres, and various boards and agencies. The results of the Saskatchewan Ministry of Health’s first Resident and Family Experience Survey and CEO tour indicate widespread concern with inadequate staffing in long-term care. In all but one of the twelve former health regions, staffing levels and/or staff recruitment and retention were raised as issues during the CEO tour. “This certainly confirms what our many members who work in long-term care have been saying for years,” says Pearl Blommaert, Vice-President of CUPE Local 5430, which represents 14,000 health care workers in Saskatchewan. In the fall of 2015, CUPE surveyed more than 400 long-term care workers. Short-staffing and workload were top issues. Front-line workers reported not being able to provide proper personal care to all residents because they did not have enough time. Town of Grenfell employees, who unionized in late spring 2017, ratified their first collective agreement in December 2017. All outside workers and one office worker are now members of the Canadian Union of Public Employees, which represents municipal workers in thirty-eight (38) communities in Saskatchewan. “The Town employees had become concerned about their working conditions, their compensation, and how they were being treated by town council and the administration. They wanted the support of a union to address these issues and we are glad to welcome new local 5340”, says Alex Lenko, National Representative of the Canadian Union of Public Employees.